I just got this great ocean sounds CD from Ryan Judd. This is a great CD. I have an anxiety disorder so getting my brain to shut off at night is really hard for me. I love the ocean though and I have found that if I listen to an ocean sounds CD I can often drift to memories of being on the water which helps me to relax and shut off my brain so I can fall asleep. I also use this in my counseling sessions, as a counselor I often do guided relaxation exercises with my clients and this works great to help them clear their mind and really relax during the sessions. It’s a 60 minute recording so it works great for meditation, relaxation, or like I said to help me fall asleep. The sound on it is very clear and sounds just like the ocean is outside your window. Love it. No need for medications with their unpleasant side effects. 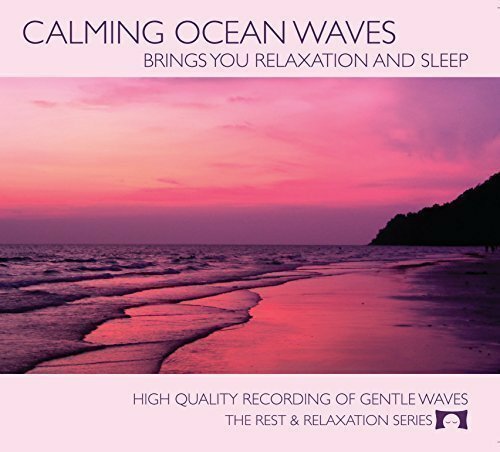 Instead, fall asleep to the soothing sounds of ocean waves lapping the shore with the Calming Ocean Waves CD. This premium-quality CD drowns out external noise as it slowly, gently relaxes you. You’ll feel peace and calm wash over you as tension and stress drain away. You’ll drift into restful sleep. Plus, you’ll wake up refreshed next morning – without that groggy feeling you’d get with sleeping meds. Your Ocean Waves CD has no jarring background noises. No squawking seagulls. No crashing surf. No distracting music. Nothing but calming waves washing onto the shore. If you love the ocean – or if you simply crave peace and calm – order this CD right away. Plus, stock up for friends and family who have trouble relaxing or sleeping. Can’t wait for your CD to arrive? Download or stream it now!